Camp for €20,- a night at Skittenelv Camping AS in low season with CampingCard ACSI. 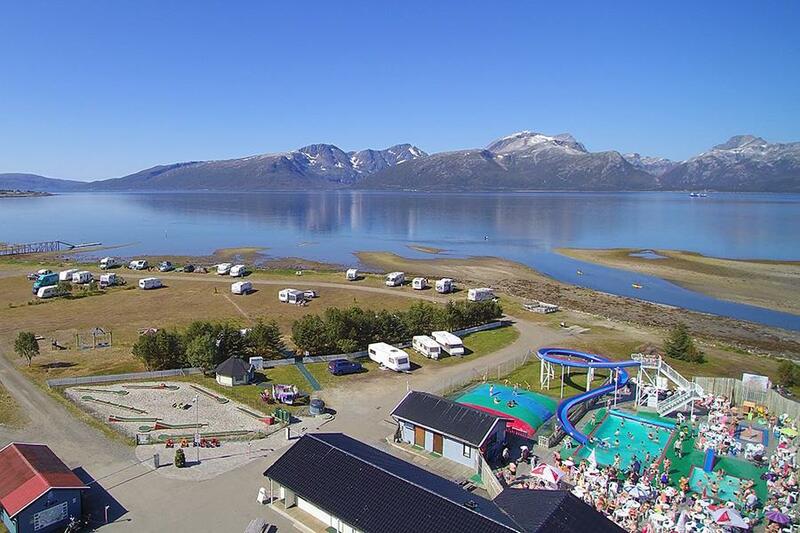 Skittenelv Camping AS, located in Skittenelv (Troms), is a campsite with 90 touring pitches. With your CampingCard ACSI you can camp on one of the pitches during the following periods: 15-05-2019 - 20-06-2019 and 01-09-2019 - 30-09-2019. At this campsite you can not only use your CampingCard ACSI for inexpensive camping, you can also use your ACSI Club ID (as an alternative ID). Camping directly on the fjord near the pebble beach. Near Tromsø. Heated swimming pool with slide. Various possibilities for hiking, fishing and enjoying the view of the fjord. Four-star campsite with all modern conveniences, excellent toilet facilities and good free wifi. Would you like to book Skittenelv Camping AS or request more information? You can do both using the information below. Follow E8 as far as Tromsø. Campsite signposted before the bridge. CampingCard ACSI will send your information request to "Skittenelv Camping AS".